- YU may also launch the 10,000 mAh and 5,000 mAh PowerBank on Tuesday. - TheYU Launch event is scheduled on 8th September, 2015 at 4:30 PM. 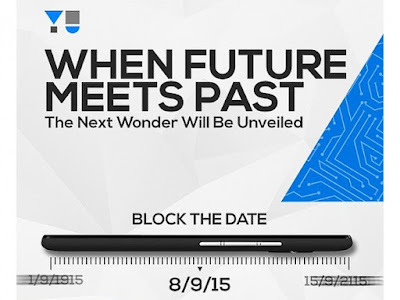 YU Team has also promised that we'll see the future meeting the past, in order for "the next wonder" to be unveiled. What do you think the launch event could be about? And what will be the price and specifications of the new YU Phone would be? Tell us your thoughts in the comment below.